This study examines the usability challenges and emotional reactions of blind college students in their attempts to access online educational materials and to communicate with colleagues through online technologies. A case study approach was adopted. Five students were interviewed regarding their online learning experiences using Blackboard, a popular Course Management System. Analysis of the interviews revealed that Blackboard was poorly accessible to the blind students, which affected achieving their academic goals. The study also showed that the blind students were motivated and optimistic of their successes despite their frustrations and feelings of marginalization. The study suggests that academic administrators and database designers work jointly with adaptive software developers in developing enhanced user interfaces to ensure universal access and usability of online technologies and to reduce educational inequities and frustrations encountered by blind students. According to the Sloan Consortium, over 3.9 million college students in the United States representing over 20% of the total student population were taking at least one online course during the fall of 2007; a 12 percent increase over the number reported the previous year (Allen & Seaman, 2008). With the increasing popularity of online or blended courses, course management systems (CMS) such as Blackboard have become essential instructional media for reaching the majority of students. Blackboard, the term used in this paper to represent the 2008 and 2009 versions of the Blackboard Learning System, WebCT, or Blackboard/WebCT Vista, is one of the most widely-adopted CMSs by the U.S. postsecondary institutions and it “has become the Microsoft of higher-education technology” (Young, 2008, p. A1). While CMSs are vital media used for instruction and communication, information access in these complex and highly visual virtual environments can be problematic for the blind or visually impaired students who are dependent on adaptive software for web navigation. Adaptive software is a general term used to refer to computer applications used by people with disabilities to access and retrieve electronic information from computers (Lazaro, 2001). Although referred to as adaptive software, they are only adaptive to specific environments for which they were designed. Consequently, their functionality is limited. 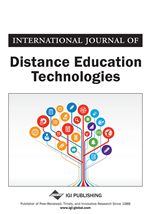 While research on Web-based distance education has found that sighted students persistently endure frustrations in their computing tasks (Hara & Kling, 1999), studies focusing on blind student populations engaged in Web-based learning has been largely overlooked. The purpose of this study, therefore, is to examine challenges of online technologies associated with accessibility and usability that are experienced by blind college students. Through this examination, we hope to better understand the impact of online technologies on the blind students’ pursuits for their academic goals.